AZOS is an all-natural, Nitrogen-Fixing Bacteria that sparks new root development and boosts growth. This fantastic product rapidly increases plant production of a natural plant hormone which then leads to increased cell division in your plant, promoting root and vegetative growth. 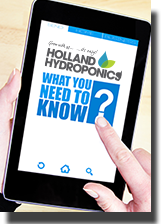 Nitrogen is crucial as your plant develops, it is used in the production chlorophyll in leaves, growth of new stems, as well as a fundamental part of amino acids and other compounds that assure plant health. That’s where this award winning product comes in to its own, as it efficiently converts Nitrogen into a more of readily available form. 1. Add 4 tbsp per 1 gallon (3.8 litres) of water. Soak grow plugs / Rockwool cubes for 10 minutes. 2. In a small container, mix 1 part Azos with 2 parts warter. Dip tips of new cuttings in solution for 15 seconds and set in plugs. * For best results, pH water to 6.0 before mixing Azos with water. 1. Adjust pH of the water to 6.0. 2. Add 1 tbsp of Azos per 1 gallon of water. Add to the hole, directly around plant roots or dust entire root ball. Set plant, backfill, and water.